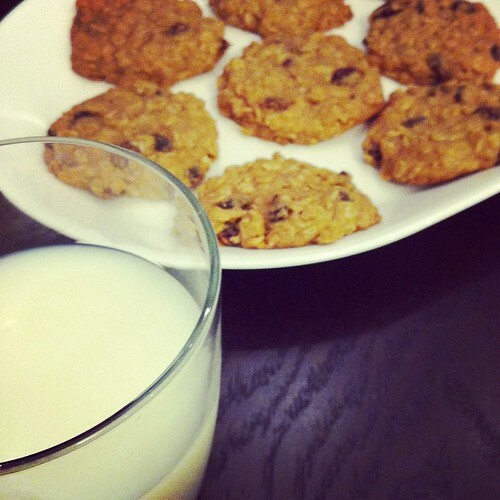 I love those extra goopy, chewy cookies. 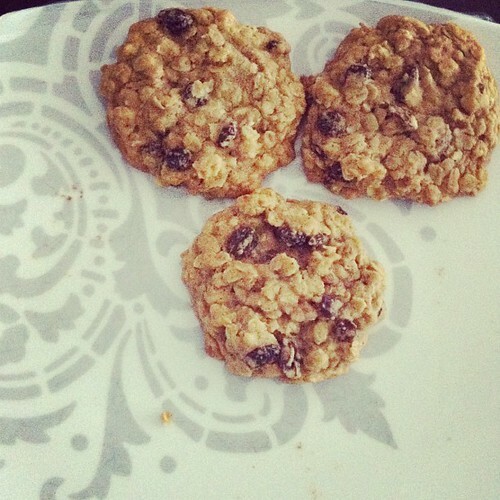 I will always have a special place in my belly for oatmeal cookies. They are not like the ones I had when I was growing up, but buttery soft. It's been a really, really long time since I've actually baked any kinds of cookies. Years, I think. Then one day after all that all-out health food shopping spree I realized not only do I have all the ingredients at home, but also a definite cookie-fitting gap in my diet. I don't have a family recipe for the perfect cookie. Not the north American kind at least. So, what is a girl to do? Steal Google someone else's. Obviously getting thousands of hits, picking the right one is not only hard, but crucial. I'm not doing all this measuring and whatnot again. But I can tell you a surefire way to pick a recipe off the interwebs. There are really only two rules*; either it A) only needs ingredients you already have at home or, and this is really the important one, B) it's from Smitten Kitchen. When you get A and B... well... that's magic, baby! Naturally, I must stay true to myself and tweak this recipe going forward. I'll keep you in the loop with what I come up with. This of course means I need to bake and therefore eat a lot more cookies. I'll call it... research. For the blog. You know, journalistic integrity. *) third optional rule is to know a diligent Pinterest user who does all the research for you and then just go to her recipe board and pick whatever it is you feel like having. Thanks Ali!